I have to admit, I was relieved and a little giddy when I saw this photo on my computer screen after uploading it from my camera. Sometimes when you are out shooting, you never know if the true beauty of something you see is going to come through in photo form. I loved this scene and hoped a photo would do it justice. My favorite part is the shadows of the trees above on the mossy carpet below. Beautiful! I love the way moss looks. This is really cool. I love when you can take a photo and it isn't until you upload them that you realize what a gem they are. Great catch! This is a gem of a photo. It looks real enough to reach out and feel the softness of the moss. Love the lighting. Oh yes! This is a beauty! Such a beautiful and vivid photo! Beautiful! 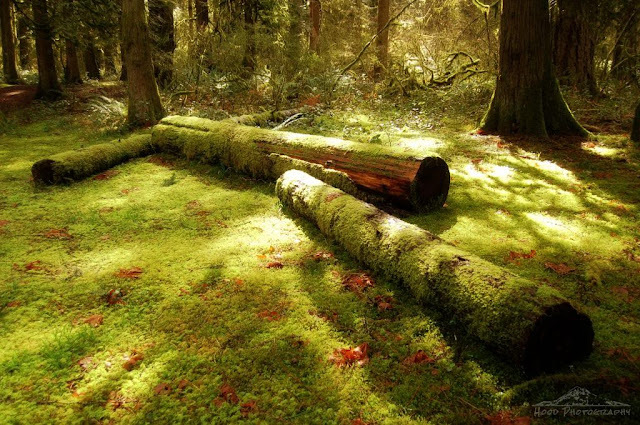 The moss looks so soft and inviting to walk on.